The perfect match for stock or modified engines! 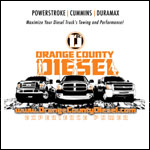 All of BD's GTP38 replacement turbochargers are serviceable and come with a new oil resistant intake hose and clamp. When looking at the attributes of all the turbochargers in the market place and seeing where improvements can be made, The BD Power 1047510 Turbo Thruster Kit 1999.5-2003 Ford 7.3L Powerstroke has have built up to those measures, up to the more expensive ball bearing design using the durable full floating bearings that has been used in the majority of turbo designs for many years. 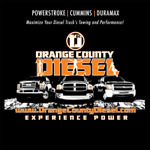 OC DIESEL offers Professional BD Power BD-1047510 Installation.